Diwali is around the corner and from today onwards we are starting our Diwali Series!! 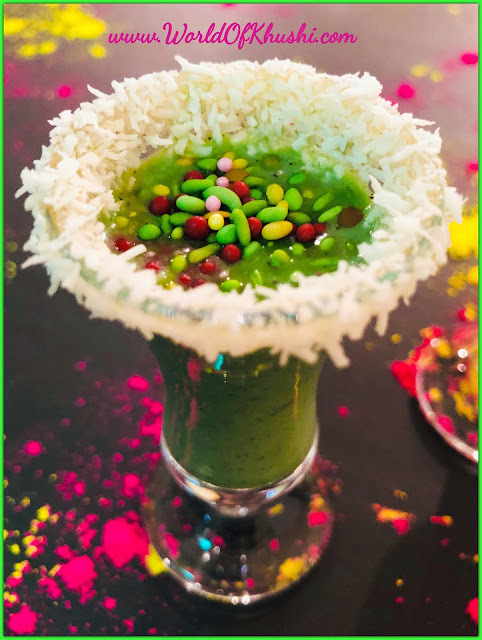 In this series we are going to share tons of Diwali DIYs and Recipes. Candles and Diyas are one of the most important part of Diwali also known as 'Festival Of Light'. I love using Tea-light Candles to decorate my Home but sometimes I feel they looks little plain and boring. 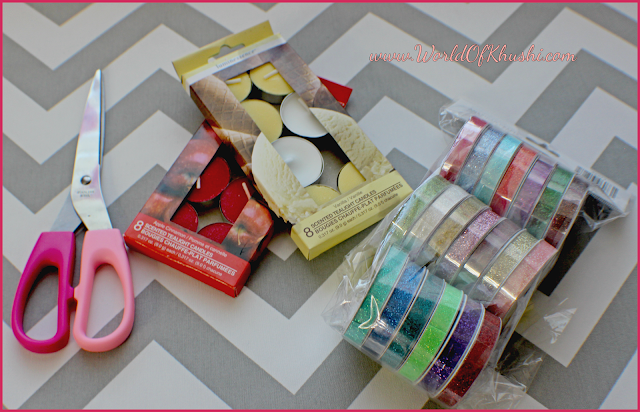 In today's post we are giving new look to those by simply using Glitter Tape. We are making Glitter Tape Tea-Light Candles. Trust me this DIY should not even take a minute to make. So spend your minute this Diwali to make this beautiful Glittery Tea Light Candles. Without further delay let's see how to make it!!! Step 1. Measure Glitter Tape according to Tea-light Candle. Step 2. Cut it and stick it across the candle covering the aluminum part of the Tea light Candle. Step 3. 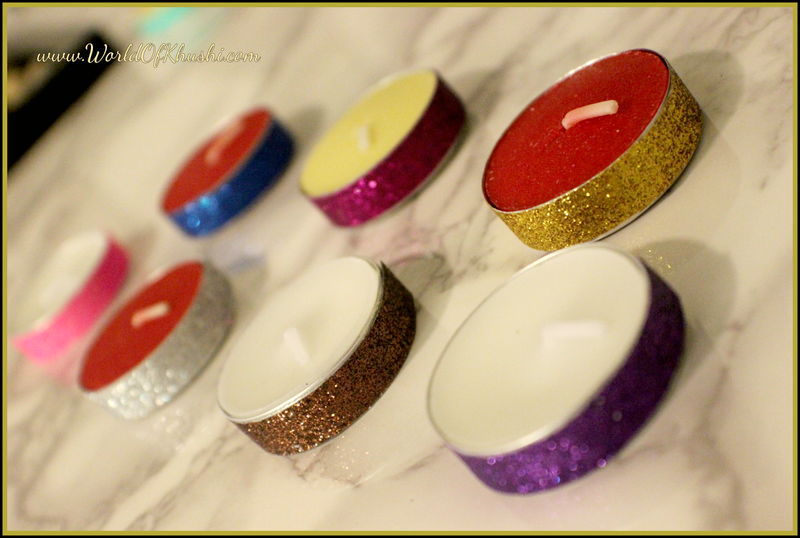 Repeat the similar step with other Candles using different colors of Glitter Tapes. That's it! Your Glitter Tape Tea-Light Candles are ready with no time. This is the easiest way to give a new look to Tea-light Candles into festive look. Will share more ways to decorate Candle in upcoming post, so stay tuned. Try this DIY and let us know your feedback, also sent your recreation pictures with us. Please like and share this post!! For more such easy Diwali DIYs stay tuned with Khushi's World. If you like this Post then don't forget to like and share the Post. Follow us on Khushi's World Facebook Page, Google+, Instagram and Pinterest for more Posts. I will see you in next post till then take care.